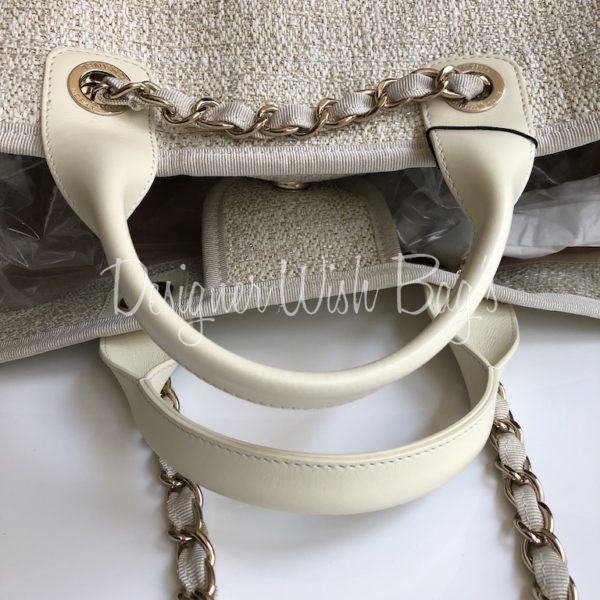 Beige/Ivory canvas with gold glitter, calf leather handles and champagne gold hardware. 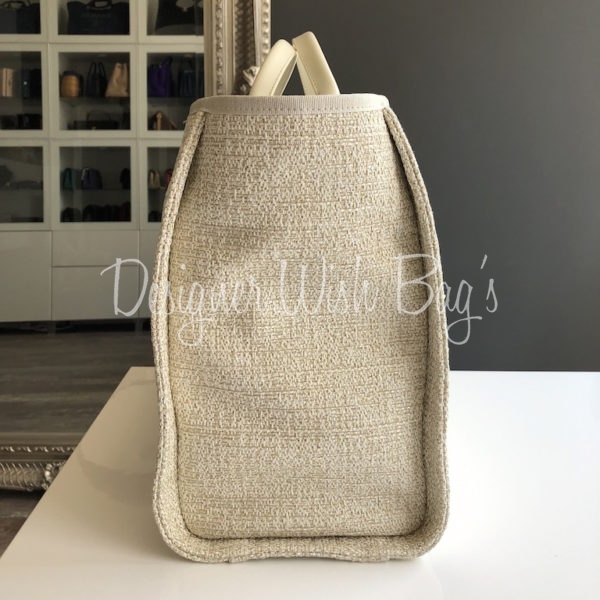 A must have summer bag! 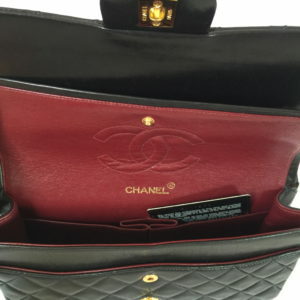 Brand New with label attached and hardwares with adhesive protection. 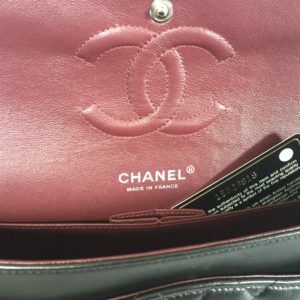 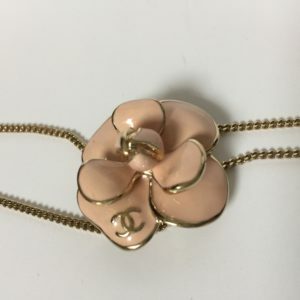 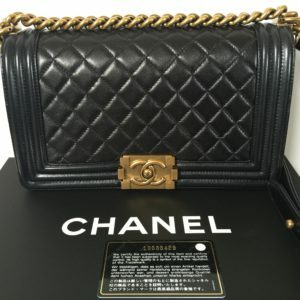 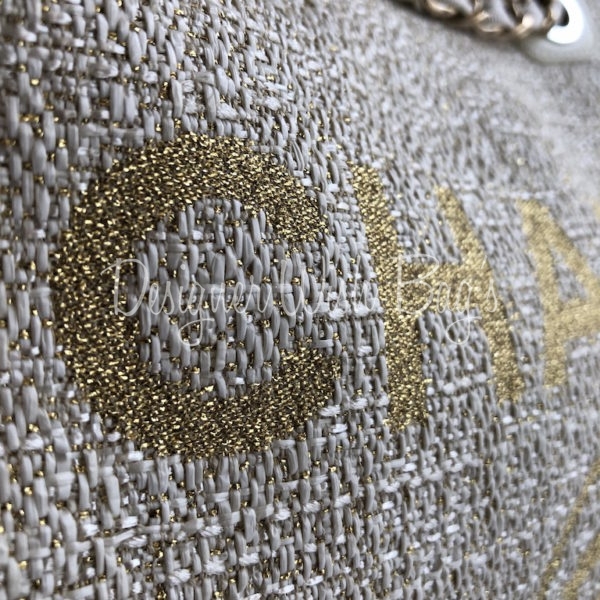 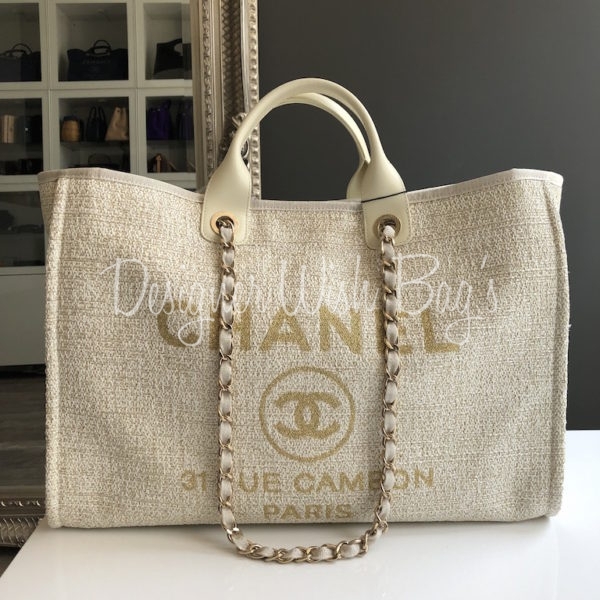 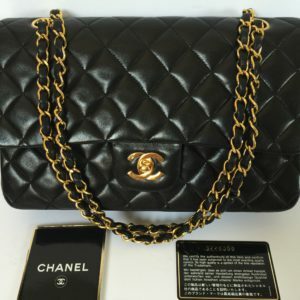 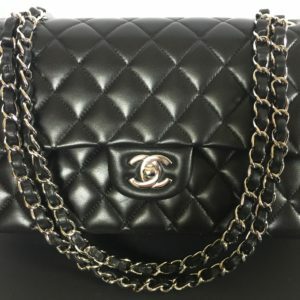 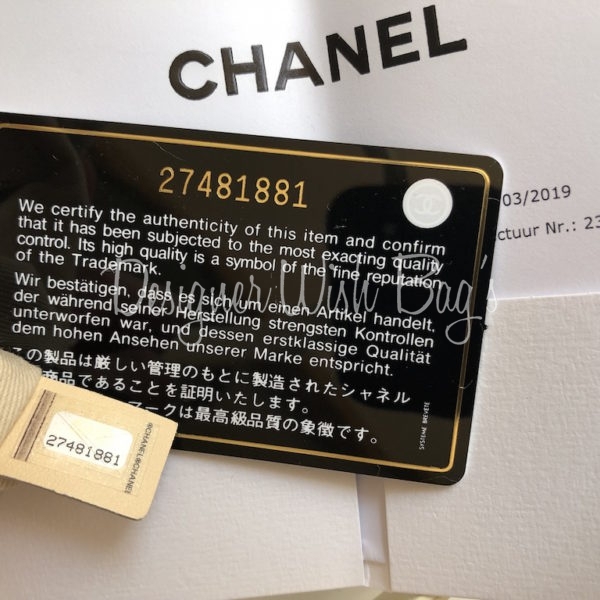 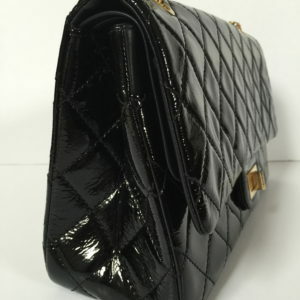 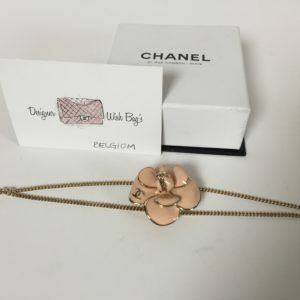 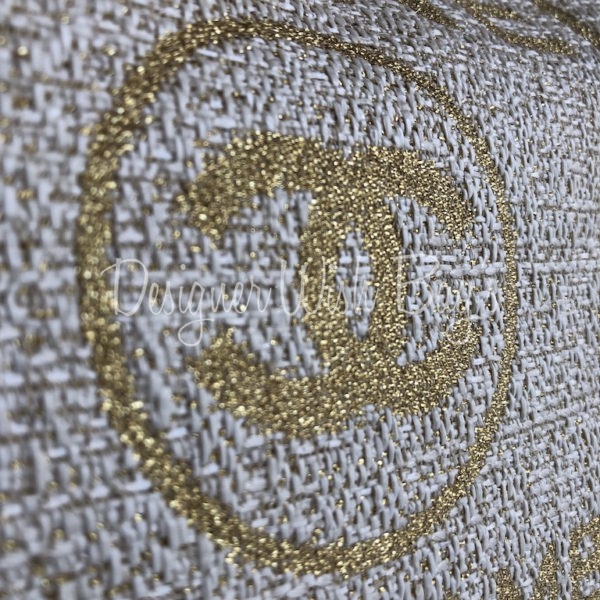 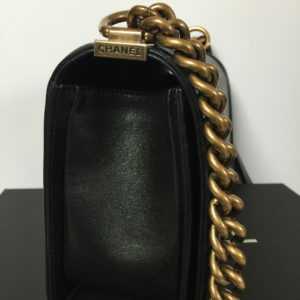 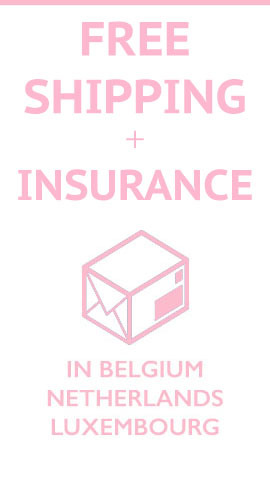 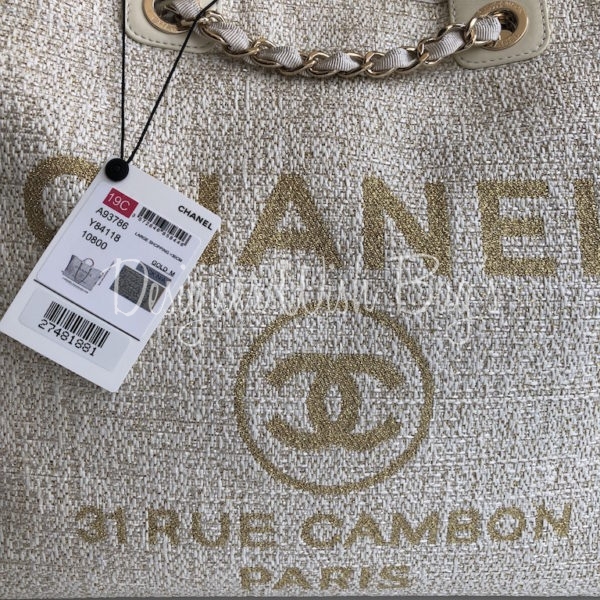 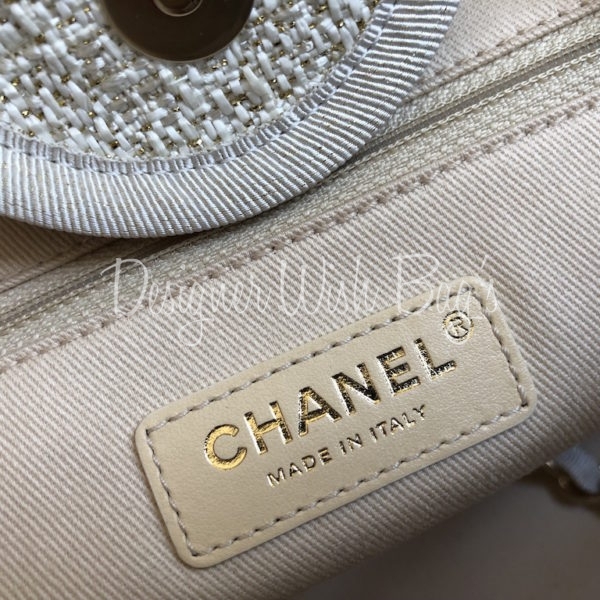 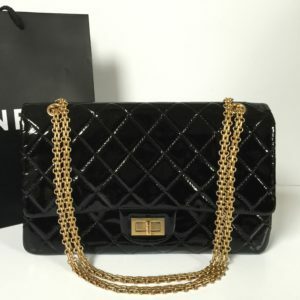 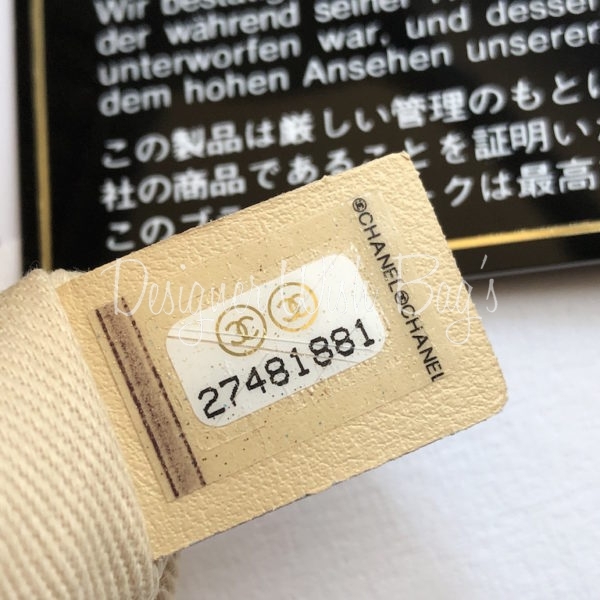 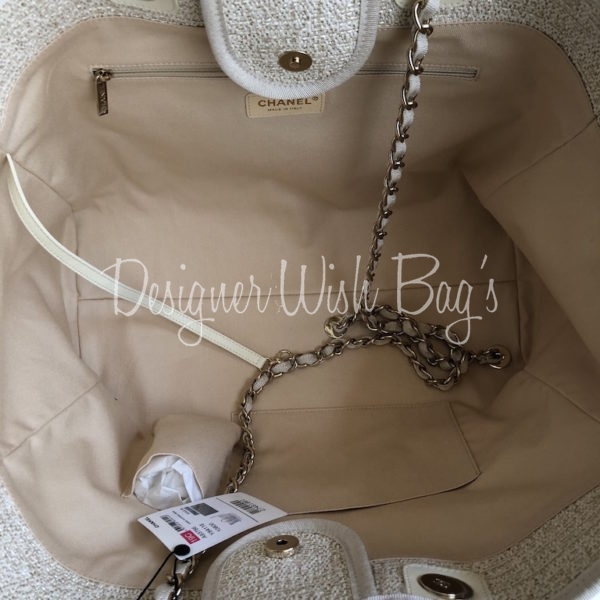 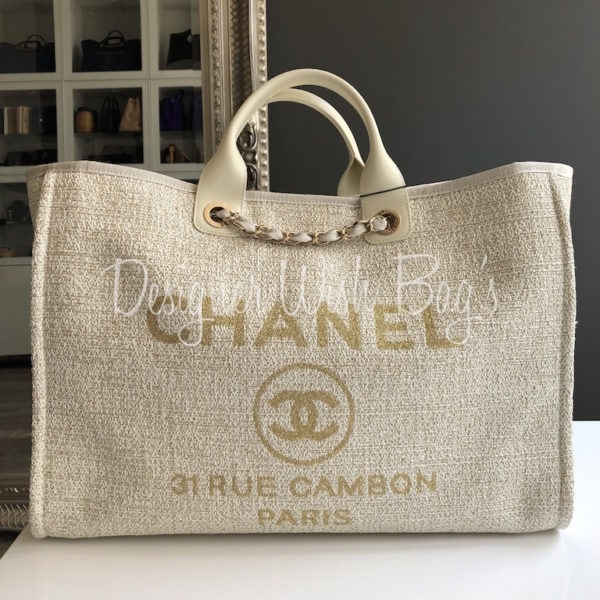 Will be delivered with Chanel dust bag, authenticity card, booklet, care glove and original Chanel receipt from 03/2019.